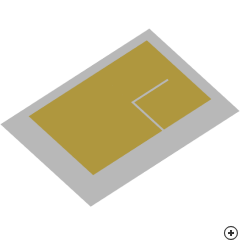 Image of the L-slot dual-band planar inverted-F (PIFA). 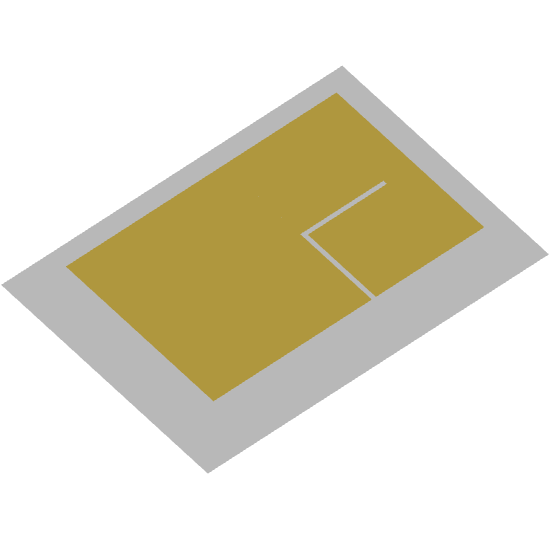 Dual-frequency planar inverted-F antenna’s (PIFA) were initially designed for use in cellular handsets, particularly for GSM and DCS1800 frequencies. Apart from extensive utility of PIFA in commercial cellular communications, it finds its usefulness in many other systems applications such as WLAN. Advantages of PIFAs in general include low profile, easily conformable, good bandwidth and bandwidth enhancement capability through reduction of the ground -plane size. It is important to note, however, that due to the dual-band nature of this PIFA, the bandwidth is extremely narrow.